What’s That Wonderful Smell? 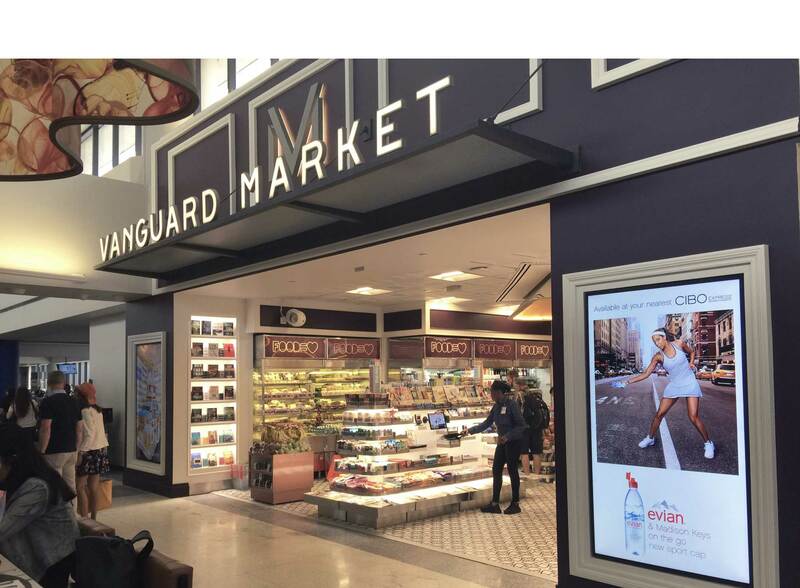 It’s Mélange Bakery and Chocolaterie at Newark Airport. There is nothing better than the smell of baked goods, and that smell has has partnered with James Beard award winner and Master Pastry Chef Jacques Torres to open Mélange, the first airport-based bakery and chocolaterie, on April 22 in the C1 Global Bazar. Mélange’s classically trained pastry chefs and chocolatiers work in a fully equipped, exposition kitchen that prepares baked goods and chocolates for passengers and the restaurants located in Terminal C. Both now have access to authentic croissants made with 100 percent French butter, New York-style hand-rolled bagels, cupcakes, doughnuts, éclairs, macarons, muffins, cookies, cakes and tarts. They can also enjoy handcrafted chocolate bars, bites, barks, truffles and bon bons made with Valrhona Chocolate. 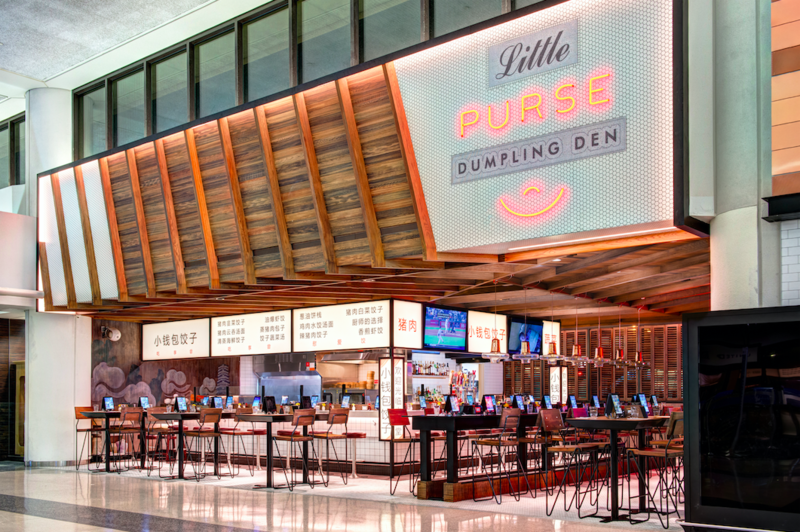 Bakers work overnight making more than 100 different treats every day to provide goods for all the restaurants in Terminal C, finishing by 4:00 a.m. and delivering them an hour later. Passengers can see the bakery in action, and lines around the Global Bazar form early for the goodies. Glazed and Passion Fruit Doughnuts. If you’re a bagel lover, Mélange has 12 types, with expected flavors like sesame, everything and cinnamon-raisin. But there’s also rainbow, whole wheat and bacon and parmesan cheese. The bakery has embraced the custom doughnut craze, offering fun flavors including lemon curd, caramel apple, Brooklyn Blackout and maple bacon. Lemon Meringue, Chocolate, & Pistachio Strawberry Éclairs. Assorted Macarons. For éclair lovers, try flavors like lemon Italian meringue, coffee or prosciutto parmesan. Cupcake fans can buy the popular red velvet, along with peanut butter, chocolate, carrot and vanilla. And those obsessed with macarons will not be disappointed with 14 flavors from traditional to unique, including vanilla, pistachio, passion fruit, salted caramel, matcha and strawberry rhubarb. 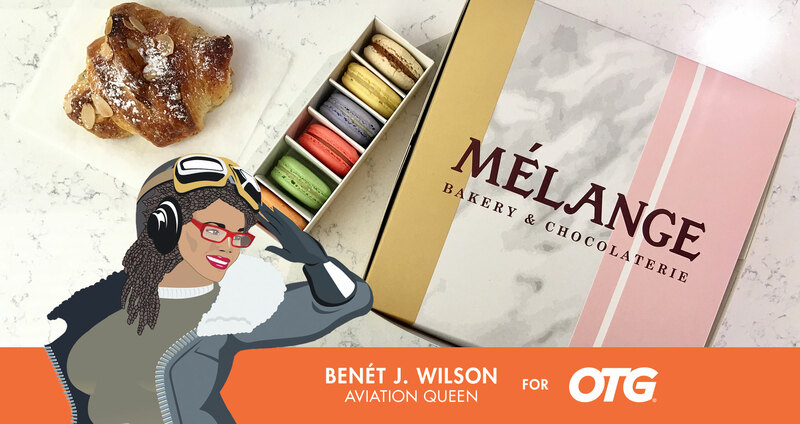 While passengers can get classic French croissants like plain or chocolate, Mélange’s most popular flavor is the ham and cheese, filled with a rich béchamel sauce. Try other flavors like pain aux raisins, apple or spinach ricotta. The bakery has the flexibility to mix up its menu, adding a turkey, cheese and béchamel-filled croissant based on the response to the ham and cheese version. Mélange aims to different and cool, but it will offer classic items and capitalize on its bestsellers. Grand Mariner Bon Bons & Chocolate Tiramisu. If you see a flavor you like, you may want to buy it — quickly. Despite only being open for a week, Mélange is already out of certain flavors of baked goods by as early as 7:30 a.m. Passengers are buying multiple baked goods to take home or as a gift, because when was the last time you saw a working bakery in an airport? 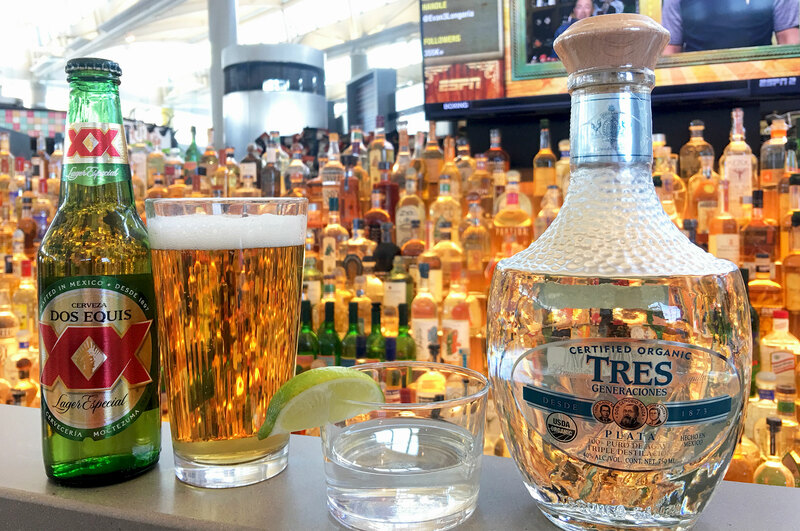 DOS(Equis) + TRES(Generaciones) = CINCO(de Mayo) Whether or not you’re catching a flight to a paradise, should you find yourself in-terminal this Cinco De Mayo you can still treat yourself to a preflight taste of the season!